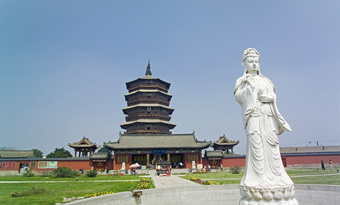 Built in the Liao Dynasty (916-1125), the wooden Sakyamuni Pagoda in Yingxian county, northern Shanxi province is the oldest and tallest wooden architectural structure in China. 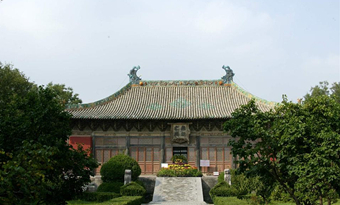 First built in the Yuan Dynasty (1271-1368), Yongle Palace in southwest Shanxi province is China's largest Taoist temple complex. 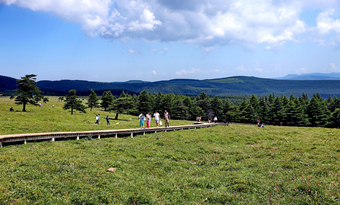 Luya Mountain, named due to its highest peak which looks like an asparagus shoot, is the main peak of Guanqin Mountain in northern Shanxi province. 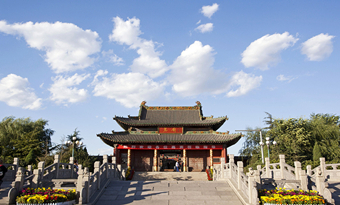 Yao Temple in southwest Shanxi province was built to honor Emperor Yao (c.24th-23th century BC), one of the most respected emperors in Chinese history. 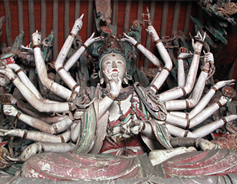 Shuanglin Temple as a part of the renowned World Heritage Site – the Ancient City of Pingyao, has a history dating backing more than 1,400 years, and is famous for its colored clay sculptures. 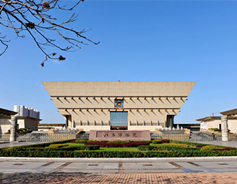 Established in 2004, Shanxi Museum at the west bank of Fenhe River in Taiyuan covers an area of 112,000 square meters and is the largest collection, protection, research and exhibition center of historical relics in Shanxi province. 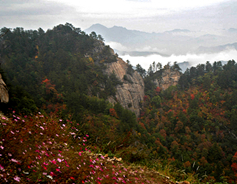 Known as Longwang Mountain in ancient times, Mount North Wudang in the Lyuliang Mountains, central Shanxi province, is a holy site for Taoists.